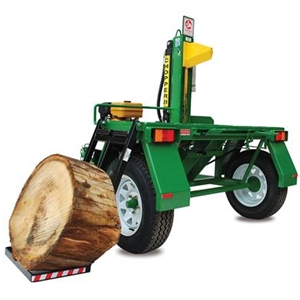 A road towable hydraulic petrol powered commercial log splitter. A road towable hydraulic petrol powered commercial log splitter. 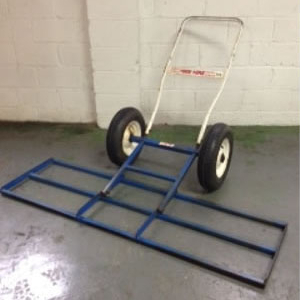 Featuring a 200kg hydraulic log lifter, hand and leg lever operation using the leg lever on the return action, leaving your hands free to remove the split log. Designed with vertical splitting at bench height, the cutting wedge is set on such angle as to part the timber with ease, allowing a full splitting cycle in 6 seconds. A very safe and highly efficient way to split timber. 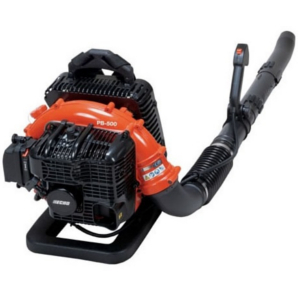 A very powerful petrol powered blower. 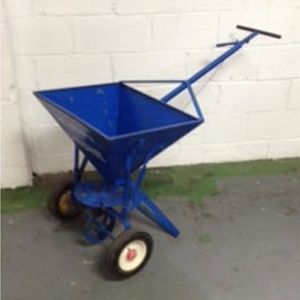 A simple walk behind spreader. 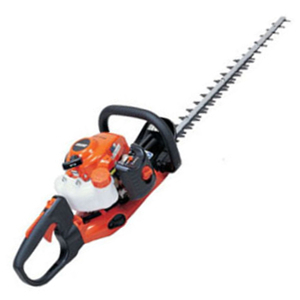 A lightweight hand held petrol powered hedge trimmer. A large walk behind rake.